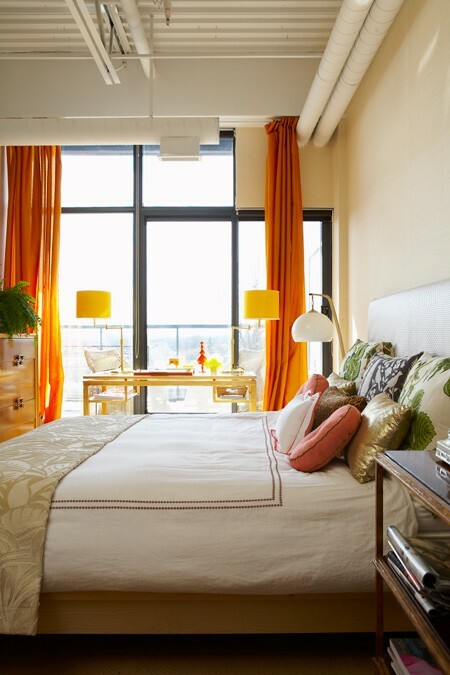 Mix and Chic: Stylish bedroom ideas! 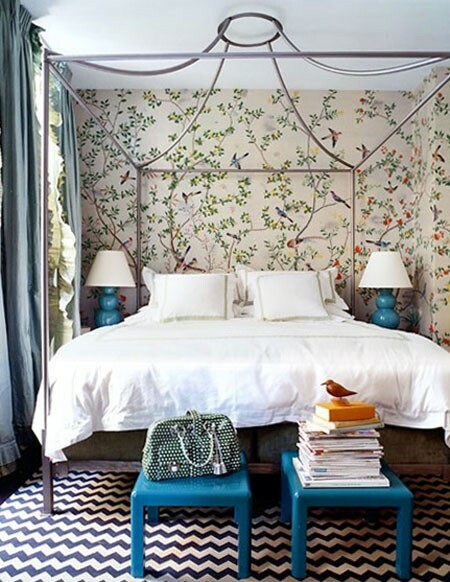 I find these bedrooms beautiful, stylish and inspiring. What about you? Do you have a favorite? I love the rug in the second one. That gray tufted headboard is stunning, further down. There is so much variety in these pics! I've saved practically every single one of them in my inspiration folder! 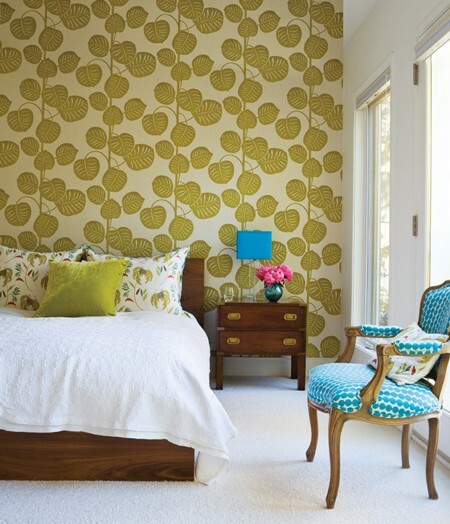 such lovely collection of bedroom images. Oh they make me want to go to bed right now and have a deserving sleep. What a great round-up - I have seen several of these before but I love seeing them all together! 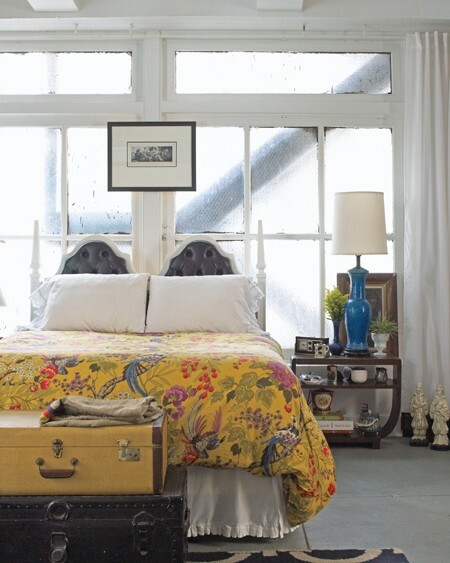 What fun pretty bedroom options! I love lots of color and patterns in my spaces. 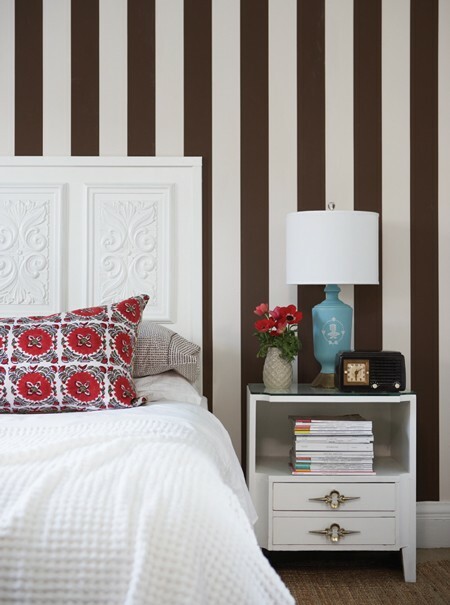 That leather tufted headboard is so cool! Great images Jessie. My bedroom needs a make over so bad! You have some great ideas. Beautiful selections Jess! 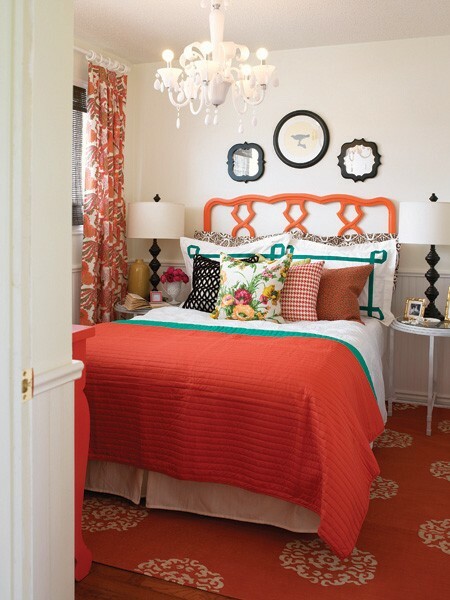 I so love a pop orange in a bedroom or anywhere! I love the second and third ones the best. they could not be more different than each other, but I love how the second one is SO bright and fun and just screams style, and the third one is super stylish too but also so peaceful looking. As always, more awesome pins for my pin boards! :) Thanks Jessie! These are great pictures, Jessie. I love the color combinations - the red&white, red with brown & white and also the stunning smoky grey with purple.